Following the brand’s G-SHOCK collaboration, clothing imprint MADNESS returns with an upgraded Teva sandal. Utilizing military inspiration as the base of the revision, the staple strapped-shoe is bolstered by faded blue suede and woven green polyester to match the base, with the MADNESS logo emblazoned on the lateral side. FLOATLITE foam ensures that the sole is extremely lightweight and comfortable, while velcro straps enable an adjustable fit. Look for the elevated sandals to hit MADNESS’s web store on July 7. 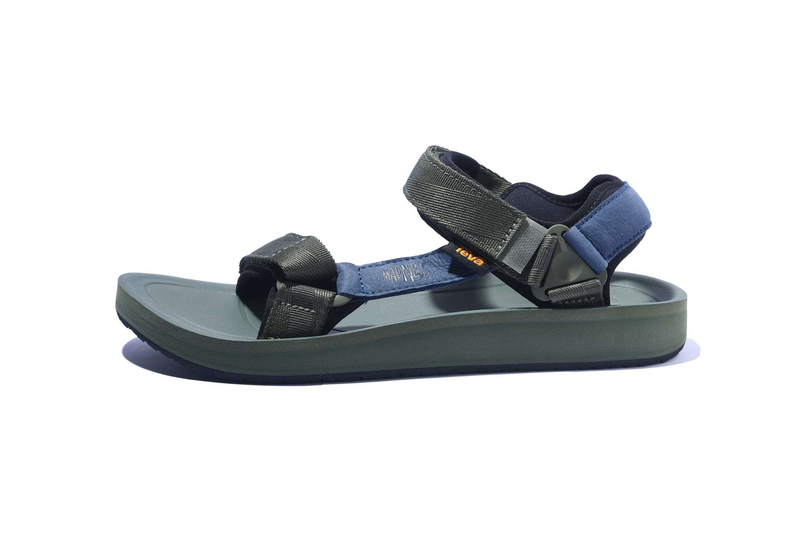 Meanwhile, PORTER recently introduced its own spin on Teva’s Hurricane XLT 2 silhouette. With a special performance by Alicia Keys. A First Look at the Nike KD11 "EYBL"
Mixing bright red, volt and grey. Inking a $13 million USD contract.